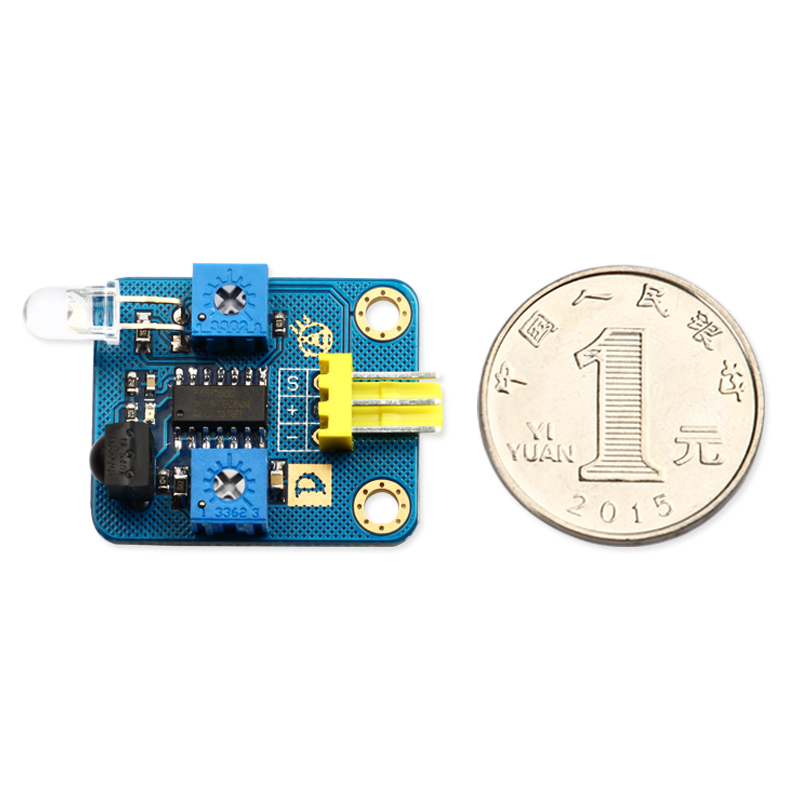 This Mini IR Detector sensor module is researched and produced by Harbin Alseon Robotics Technology Co., Ltd. .The Mini IR Detector sensor module is a distance adjustable sensor. It has high adaptability to ambient light with high accuracy. It comes with transmitter and receiver. The transmitter transmits certain frequency IR and when IR hits into obstacles, it reflects and is received by the receiver and indicator lights up. After being processed by circuit, signal output port outputs digital signal and then detect the distance through potentiometer. The Detecting distance range is 2-40cm. 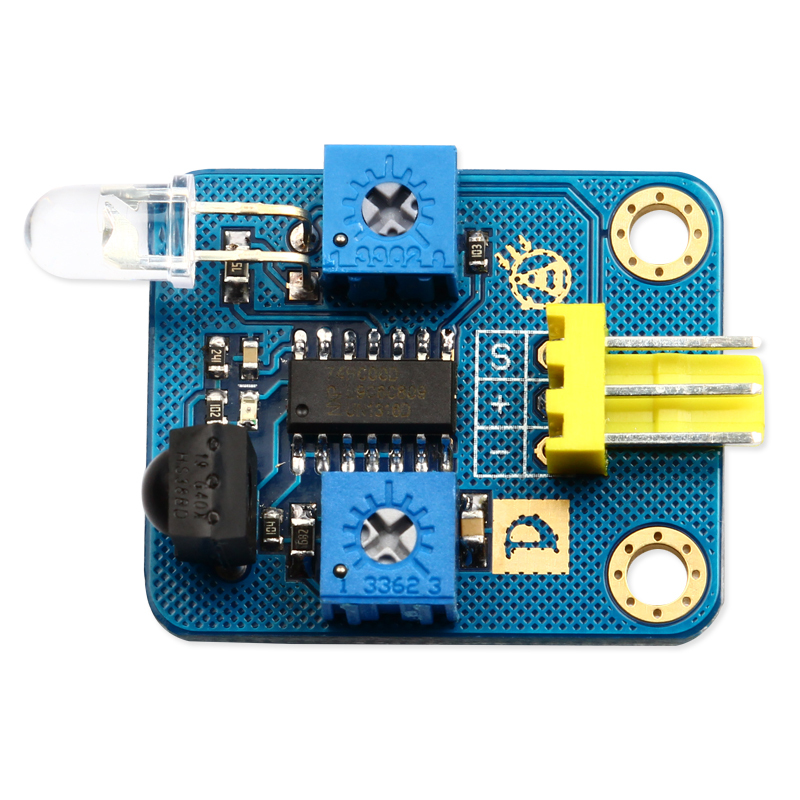 Working voltage range is 3.3v-5v. For the wide rang of fluctuation of voltage, it can be applied to various microcontroller. A photoelectric sensor, according to how it works, can be divided into two types: analog and impulse.In analog type, photocurrent that flows through photo-sensor varies with light flux. It is a function of light flux. While in impulse type, photo-sensor only has two output modes, that is, on and off. When the photo-sensor is illuminated, there are signals output. When no light, there's no signal output. 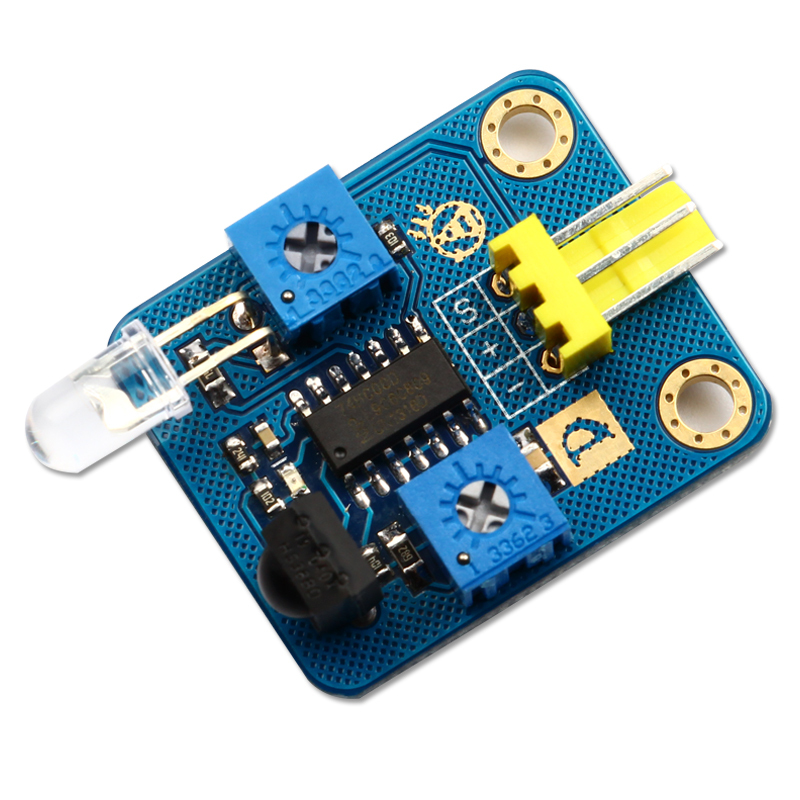 Mini Line Tracking Sensor is a product specially designed for robot according to reflective photoelectric sensor theory. 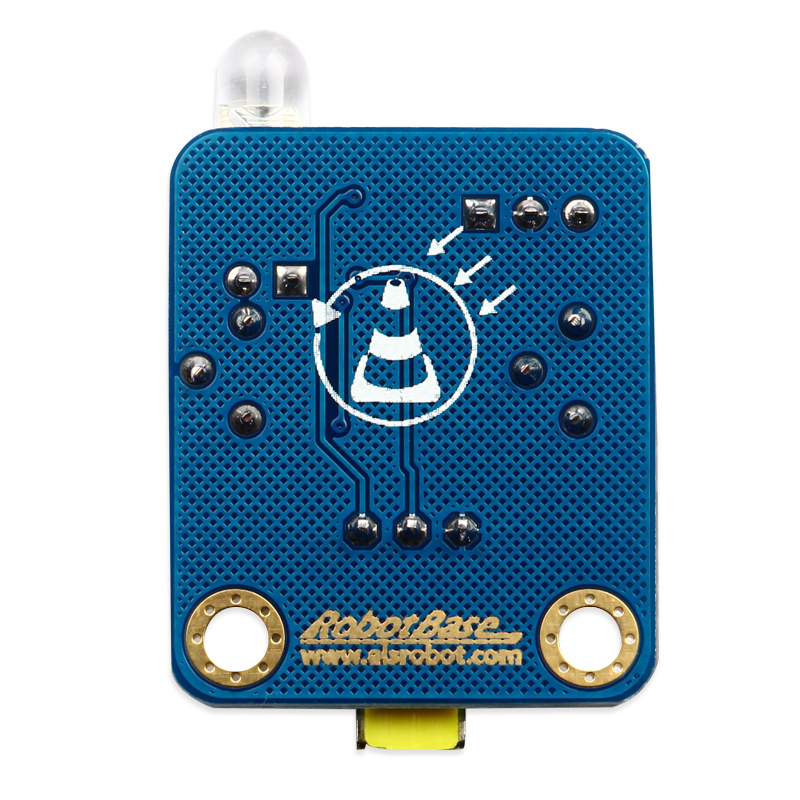 It helps the robot track the white or black line and can detect black lines on white and white lines on black.Tracking feedback signal provides stable TTL levels output which makes the tracking more precise and more steady. The sensor can be applied to light-electric tachometer and program controlled mobile. 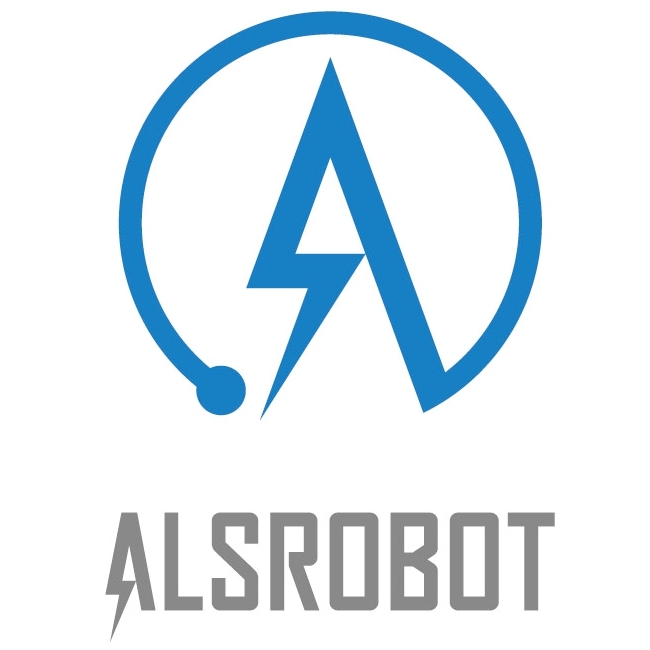 It is also a necessary sensor to wheeled robot.